Let’s talk about the facts. The two most common risk factors for breast cancer are being a woman and getting older. In the United States, one in eight women will be diagnosed with breast cancer in her lifetime. It is the second leading cause of cancer death among women and is the most commonly diagnosed cancer in women. Most likely, you or someone near and dear to your heart has been affected by this disease. 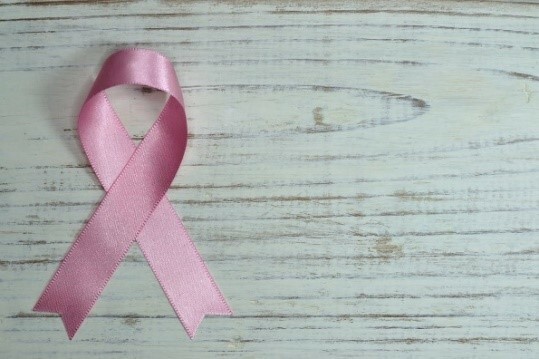 Although recent studies show that there has been a gradual decline in female breast cancer diagnoses for women aged 50 and older, senior citizens are not immune from it. In fact, according to the American Cancer Society, the older one gets, the higher the risk. Most breast cancers and related deaths are found in women age 50 and older with a median age at diagnosis of 62-years-old in the United States. We’re glad you asked. October is National Breast Cancer Awareness Month, and we’re prepared with some suggestions on how to get involved and support the cause, regardless of your age. Understand if you’re at risk. Talk with your doctor for information and instructions on breast cancer screening tests. The chances of survival are the highest when breast cancer is detected early. If you’re caring for an elderly loved one, be sure to assist with scheduling medical appointments since breast cancer screening is important for all women. Read about questions to ask your breast cancer screening healthcare provider. Of course, not every older person is the same. Being that one 80-year-old might be living independently at home and one might be recieiving assistance with Activities of Daily Living in Assisted Living or a Skilled Nursing Facility, the breast cancer treatment approach may vary. For those living in a senior living community, nutrition is carefully monitored, which is important since weight loss in elderly patients can lead to poor function and shorter survival. Also, cancer treatment can affect one’s mental health, so social support and phsycological therapies may be neccesary. You may want to consider the support and social programming offered at your loved one’s senior living community if he or she is diagnosed with breast cancer. It is important to discuss your loved one’s treatment plan and options with a physician, and if you are touring senior living commuities, ask questions to learn about each community’s support system, transportation services and more. This can be a complex situation, but the more professional guidance you seek, the better equipped you will be to move forward. The pink ribbon was first created in the early 90’s to draw awareness to breast cancer. The Susan G. Komen Breast Cancer Foundation quickly adopted the ribbon and handed it out to survivors and participants in the first Komen Greater NYC Race for the Cure in October 1991. The pink ribbon isn’t just for runners, it’s for everyone! Gather a group of your friends, involve the Activities Director at your Senior Living Community or take some alone time to create your very own pink ribbon lapel pin. You can wear your ribbon all month long, sparking conversations about the meaning behind the ribbon. Go on, get crafting by following these easy instructions. Go Shopping: In October, select retailers may donate a portion of their proceeds to breast cancer research. The Susan G. Komen online store and the Making Strides Against Breast Cancer online store sell a variety of shirts and accessories to support the mission. Be Creative: Wear a pink wig, decorate a bra with pink jewels and ribbon, ask the administrator of your senior living community to organize pink cocktails or refreshments on a special day in October; the pink possibilities are endless! 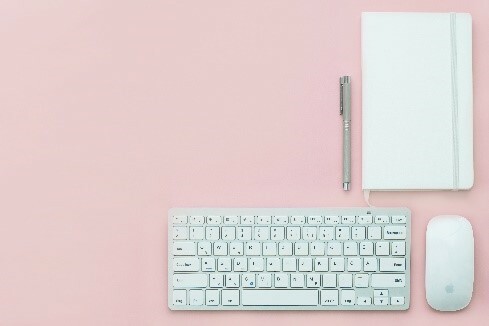 Talking about breast cancer, researching your risk and wearing pink are all steps in the right direction, but it takes more to fund life-saving breast cancer research, provide educational resources and offer early detection services to those in need. Join a local breast cancer walk. Making Strides Against Breast Cancer organizes annual walks across the country. Join as an individual or register a team for a greater impact. Plus, it’s more fun to walk with your friends. Check to see if there’s an event near you! Create your own walk. Invite your friends and/or senior living community residents and staff to walk around your community. Honor breast cancer survivors and loved ones by sharing their stories during your walk. Donate to a trustworthy organization. Some examples: American Cancer Society or Susan G. Komen organization. Organize a fundraiser. Here are some helpful tips on starting a fundraiser. Donate items. Some organizations accept donations of clothing and household items to support breast cancer. Ask your church, senior living community or local recreation center if they have such a program. Visit: Are you a breast cancer survivor or a caretaker for a loved one who suffered from breast cancer? Your experience is more valuable than you think. Find a local church, hospital or similar organization, and volunteer your time with a face-to-face visit or phone call. Write: A written letter can go a long way on someone’s road to recovery. Drive: Organizations like the American Cancer Society have a need for drivers to take cancer patients to and from their treatment appointments.